Which of these sounds more like you?? I love to travel… seeing new sights, learning about a different culture, the joy of a big, white hotel bed. Traveling stresses me out… breathing in recycled air on the plane, dust-mite ridden hotel beds, eating wilted salads (or worse!) in the airport. I used to be firmly in the second camp, and I avoided traveling for years as a result. When I did have to travel, I failed to plan and wound up returning home in a flare that required weeks to recover from. This holiday season is different, though. I’m actually excited to travel. The difference? It all has to do with what I’m planning and packing. You know that saying “failing to plan is planning to fail?” It’s especially true for your digestive health while traveling. Here’s what I’m stashing in my suitcase to stay healthy while traveling. Whether you’re going on vacation or to visit family and friends, I hope these resources make your trip enjoyable and memorable for all the right reasons. This is my favorite healthy gut snack. Most packaged snacks (even paleo-approved ones) are chock-full of sugar in the form of dried fruit. 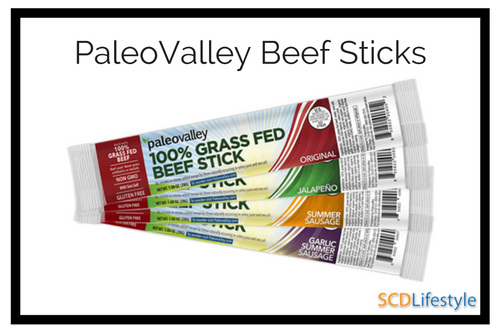 These Grass-Fed Beef Sticks have ZERO grams of sugar and are gluten, soy, sugar, and added nitrate and nitrite free. Most importantly though, these sticks are full of flavor and have a satisfying snap when you bite into them. Each meat stick packs 6 grams of protein in just 70 calories – perfect to stash in my bag for busy travel days. In the spirit of the holidays, Paleo Valley is offering 30% off to friends of SCD Lifestyle – just use the above link. Traveling means I’m not 100% in control of my food. While I make the best decisions I can, I love knowing I have a backup source for the micronutrients I normally get from lots of fresh fruits and veggies – Dr. Cowan’s Garden Vegetable Powders. 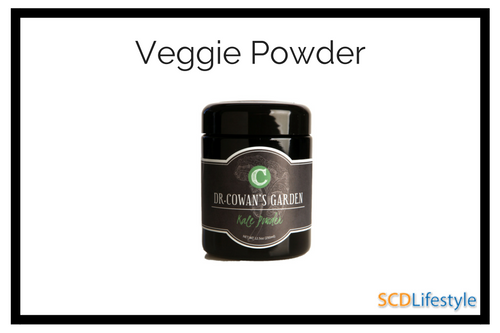 Unlike other “greens” powders, Dr. Cowan’s Garden Powders are free of sugar or artificial sweeteners and have an incredible savory flavor that enhances whatever you add it to. The vegetables are harvested at peak freshness, dehydrated on low heat, ground into powders and transferred to Miron violet-glass jars. One teaspoon is the equivalent of an average portion of freshly-cooked vegetables and the jars can be stored for 3-5 months. I mix it into bone broth, soup, and sprinkle on top of restaurant meals, too. 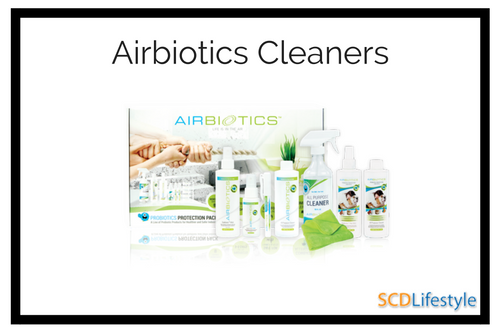 Airbiotics is my favorite brand of cleansers for your hands and home. When I travel, I always carry 2 products with me – the StaBiotic Mist and the Hand Sanitizer. They both use beneficial probiotics to penetrate biofilms and banish bad bacteria, without wiping out beneficial bacteria that keep you and your family safe. I spray my pillow and hotel bed with the StaBiotic mist to banish dust mites and other allergens. Throughout the day, I use the hand sanitizer liberally. And since it’s odorless and safe for people, pets, and all surfaces, you can use it anywhere without thinking twice. AirBiotics is currently offering discounts on their holiday sets PLUS a $25 gift card with every purchase – pick up one for yourself and use the other as a great hostess gift (we promise they’ll appreciate it more than another cheap bottle of wine). A spritz of rosewater on your face, hair, or hands is immediately uplifting and calming. 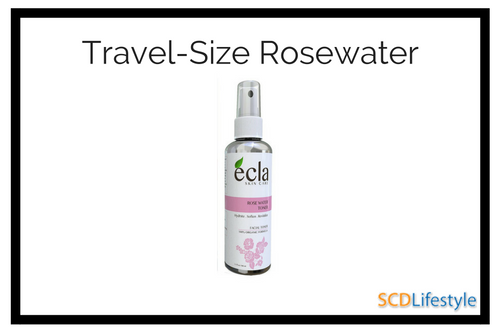 I carry this travel-size rosewater spray with me onto the plane or in the car and spritz frequently. The mild scent won’t be offensive to other travellers, and you’ll feel refreshed and hydrated after you use it. Once I arrive, I use it to clear the air in musty hotel rooms, and as a toner on my skin and hair. Bone broth’s benefits have been touted to the moon and back – it promotes a healthy gut, healthy skin, hair and nails, and it’s rich in gelatin, protein, and essential amino acids like proline and glycine. Bone broth is an essential part of SCD or a leaky gut diet. During the stress of travel, having bone broth handy is even more important – but quality bone broth isn’t available everywhere. 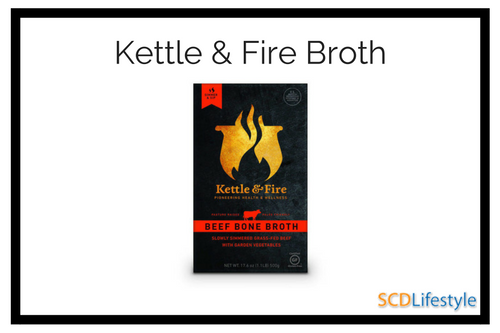 Kettle & Fire bone broth is made exclusively with grass-fed bones and is simmered for 24 hours – just like I would make it at home, but packaged and travel-ready. I’m stashing a couple cartons in my suitcase, and I’ll heat up a mug in my hotel coffee pot to enjoy each day. Use this $10 off offer special for our community to reap the benefits of portable bone broth yourself. This is the closest thing I’ve found to a “magic pill.” Glutathione is one of the most important antioxidants in the body – it plays a major role in almost every single body system and is quickly depleted when stress is high (like when you’re visiting far-flung relatives!). 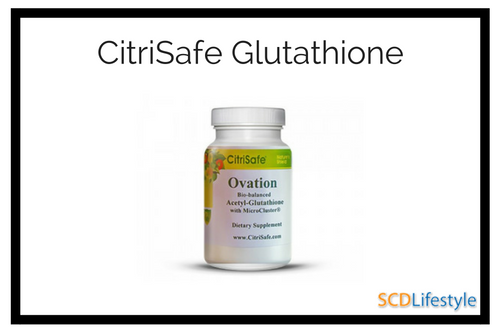 Glutathione works to detoxify free radicals, calm inflammation, curb the aging process, and provides lasting energy. I supplement with Glutathione for 1 week prior, while I’m traveling, and 1 week after I return. At home, I diffuse oil most of the day and every night. I use different oils to relax, energize, and clear the air. I used to miss my diffuser when I travelled as much as I missed my own bed. 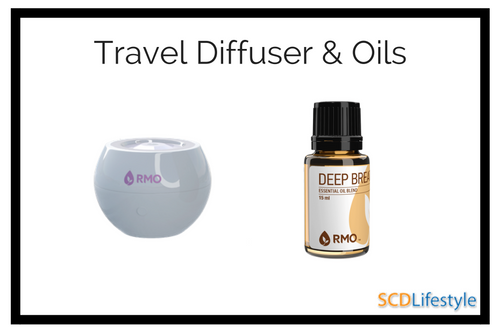 Now, I travel with the RMO Droplet Diffuser, an incredibly handy (and effective) portable diffuser. It plugs into any USB outlet (like your phone charger or laptop) and is quiet and lightweight. Since there is no heat or flame involved, it is safe to use in other’s homes and hotel rooms – I’ve even used it in my car! 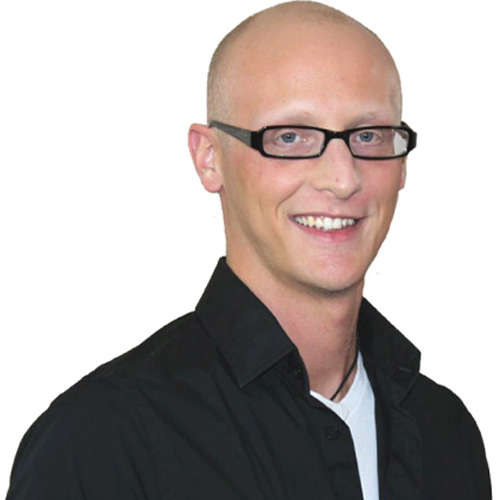 For affordable, powerful, and pure oils, I only use Rocky Mountain Essential Oils. For musty hotel rooms, I love a purifying oil like Deep Breathe. In the mornings, I diffuse an energizing oil blend like RMO Joyful Moments to get me ready for a day of exploring. The practice of grounding is based on the idea that our bodies should come into contact with the earth every day – the earth provides a negative charge that helps combat free radicals (positive electrons) that can build up in the body over the day. When you’re traveling, you’re exposed in even greater number to these positive charges – especially from electromagnetic waves from the now-ubiquitous high-speed Wifi and cell phones in airports and hotels. Not to mention the high EMFs your body is bombarded with during air travel. And grounding is the best remedy I’ve found for jet lag. 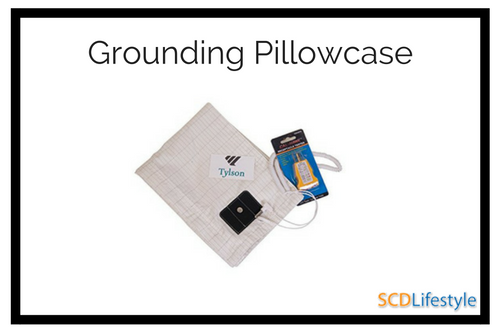 This grounding pillowcase is woven with conductive silver thread that helps combat free radicals while you sleep – allowing you to sleep better AND feel better the next day. The Squatty Potty is a must for me when I’m at home. It elevates your legs to put your body in a more “natural” position for elimination. If you doubt it’s effective, try sitting on the toilet with your feet on a stack of magazines to bring yourself into a squat position and you’ll see what a big difference this little stool can make. Traveling brought a double-whammy of bathroom troubles for me – no Squatty Potty paired with the constipation traveling typically brings on. 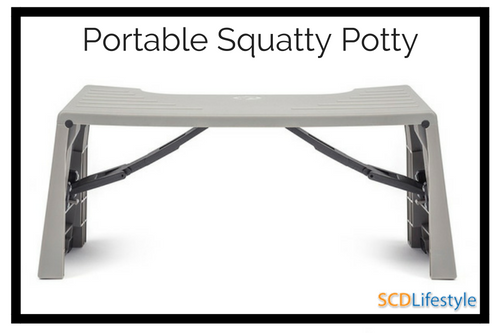 This trip, I’m packing my collapsible travel Squatty Potty – the Porta Squatty – for the first time! It easily (and discreetly!) folds up to the size of a book, so there is no reason not to pack it. 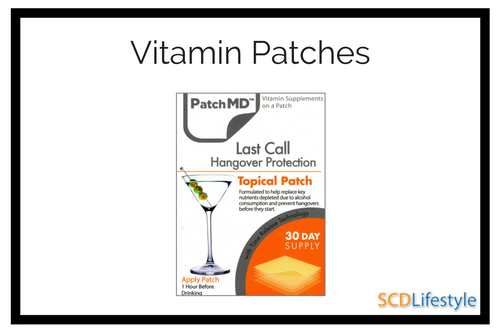 These patches are perfect for travel – whether you drink or not. While I don’t drink enough to get a legitimate hangover – jet lag feels exactly like a hangover to me. These patches help you support your body’s detox systems so you better recover from the dirty air and exhaust fumes you’ll breathe in, the less-than-stellar food you might eat – and yes, even a drink or two if you decide to indulge. Plus, they’re small and lightweight – and carry-on approved. I use these patches on travel days to prevent that hungover feeling without needing to tote around plastic baggies full of supplements. I pack a lot of food to carry with me while I travel – but sometimes another apple or avocado just won’t do – I crave warm food. Instead of falling prey to expensive restaurant food that usually contains ingredients I don’t want, I pull out my portable oven (it’s like an Easy Bake Oven for adults!). It can warm up leftovers without a microwave and even cook raw meat and veggies. My favorite way to use it is to gently cook fresh wild-caught fish. 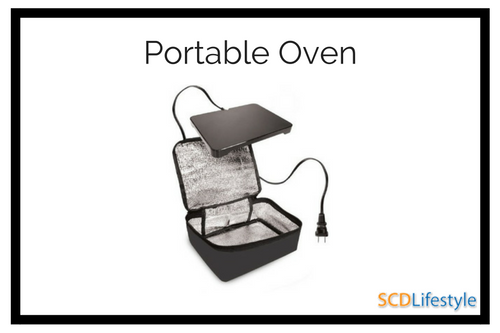 This portable oven is awesome in hotel rooms… and I’ve even used it with an outlet converter in my car on long road trips. Got a long flight or car drive ahead of you? Airports and highway rest stops are some of the most difficult places to find healthy-gut food choices. 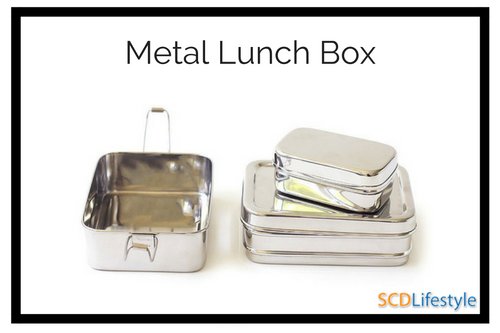 Instead of hoping for the best and winding up cranky and hungry, plan ahead by packing an entire meal in this stainless steel lunchbox. As long as you don’t pack liquids in the lunchbox, you can carry it straight through security and onto your plane. The only downside to traveling? Leaving my dog behind. While I know he’ll be well cared for while I’m gone, leaving is stressful for both of us – especially if he’ll be in a kennel instead of with a dog sitter. Dogs have very sensitive stomachs and are susceptible to digestive upset during stressful periods – and he’s more likely to be exposed to pathogens like E. coli or Salmonella in a kennel than at home. 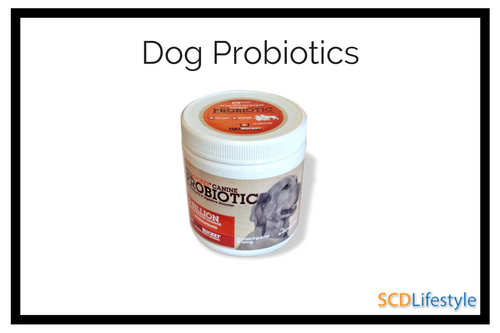 That’s why I give my dog Full Bucket’s Daily Dog Powder – its probiotics, prebiotics, and enzymes bolster his gut health so he’s less likely to get sick in the kennel or suffer from diarrhea while I’m away. Plus, he loves the taste – so it feels like giving him a special treat. I hope you enjoy these tools to stay healthy while traveling as much as I do – and that your travels (holiday or otherwise!) are enjoyable, relaxing, and rejuvenating. What are your travel must-haves? Do you rely on any of these products, too? 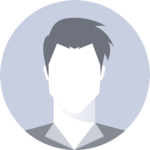 I’d love to chat with you more – just leave a comment for me! Great suggestions. We travel a lot and will definitely try some of these out. I take along 7th generation antibacterial wipes and wipe down my area on the plane including seat belt,tray, arm rests and screens or buttons. Also in the hotel room, switches, doorknobs, remote, bathroom handles etc. I bring a plastic bag for my purse before putting it on the floor of the plane. I bring some activated charcoal capsules and Allimax pro just in case I have a gastric issue and Gluten Ease when I eat out to cover some cross contamination of gluten and dairy. I take gaba or herbal sleep aids for the first few nights to ward off jetlag. Traveling abroad, check regulations on bringing in food. I am hoping to plan a European river cruise for 10 days; however am thinking I will not be able to maintain the SCD lifestyle. Any suggestions, versus the ones here, would you suggest? Thank you. I love the thought of the transportable kitchen appliance and have already got the proper size Pyrex dish to use within it, in conjunction with the “plastic lid.” however, I don’t wish to place a plastic lid within this tiny kitchen appliance (to soften and drip toxins) any longer than I’d wish to use it in a very microwave! So… any concepts for a safer, protect the glass change of state dish? HI Amanda – I believe your looking for a good lid option. THe only thing I can think of is casserole dish that comes with a ceramic or glass lid. I love the idea of the portable oven and already have the right size pyrex dish to use inside it, along with the “plastic lid.” But I don’t want to put a plastic lid inside this little oven (to melt and drip toxins) any more than I’d want to use it in a microwave! So…any ideas for a safer cover for the glass cooking dish? Thanks for the great ideas and Happy Holidays! Hi Karen – thanks for reaching out! You may want to try and find high quality lids that don’t contain BPA, chemicals, etc. I do believe Pyrex makes a snap on glass lid as well ad you could try that route.